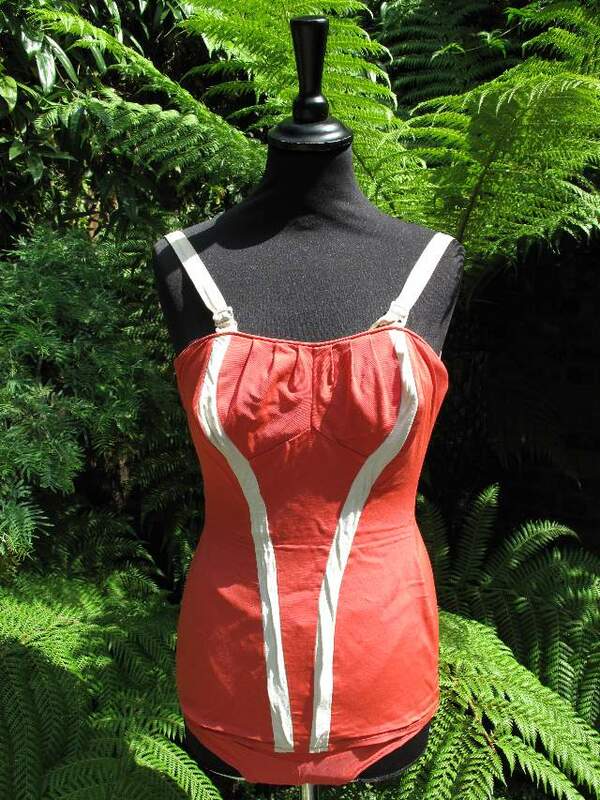 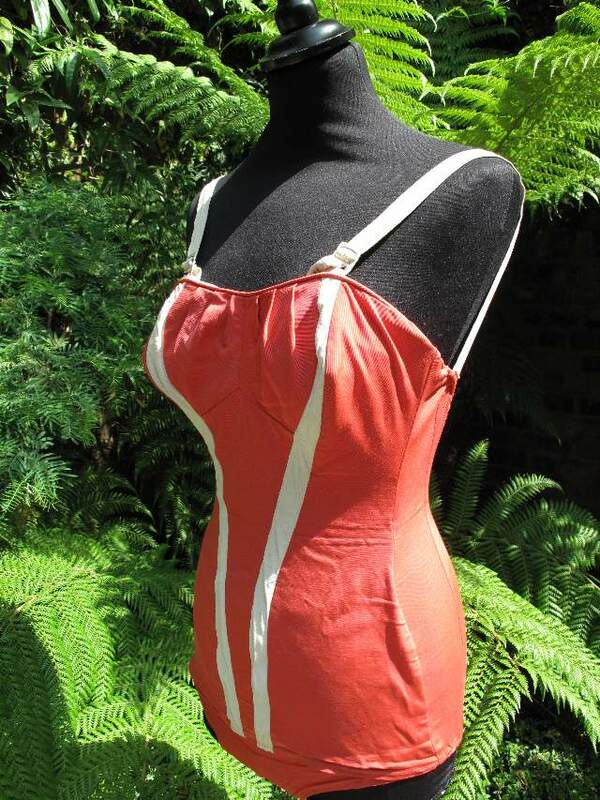 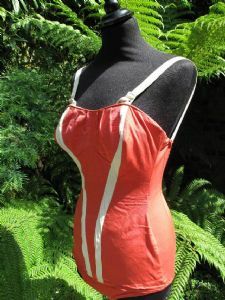 1950's Coral stretch nylon elastane vintage bathing costume. 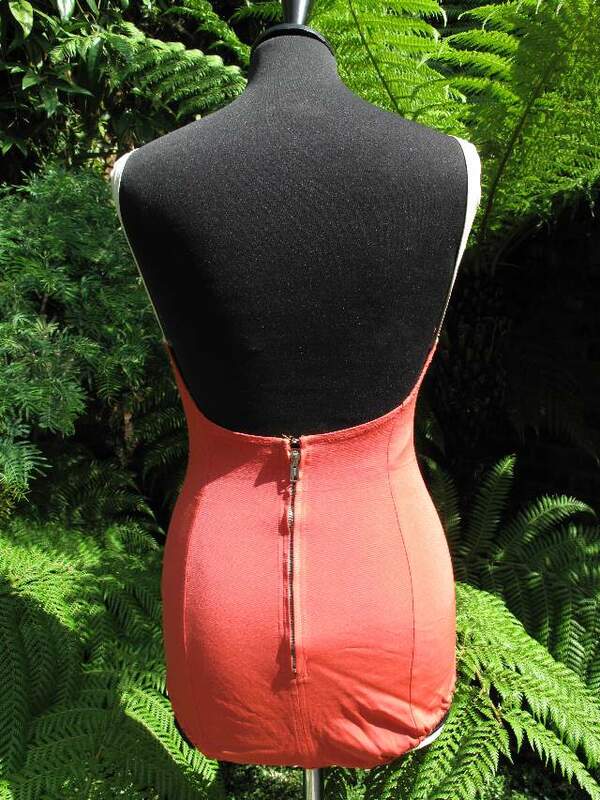 With shaped panels, pleated and boned bust detail. 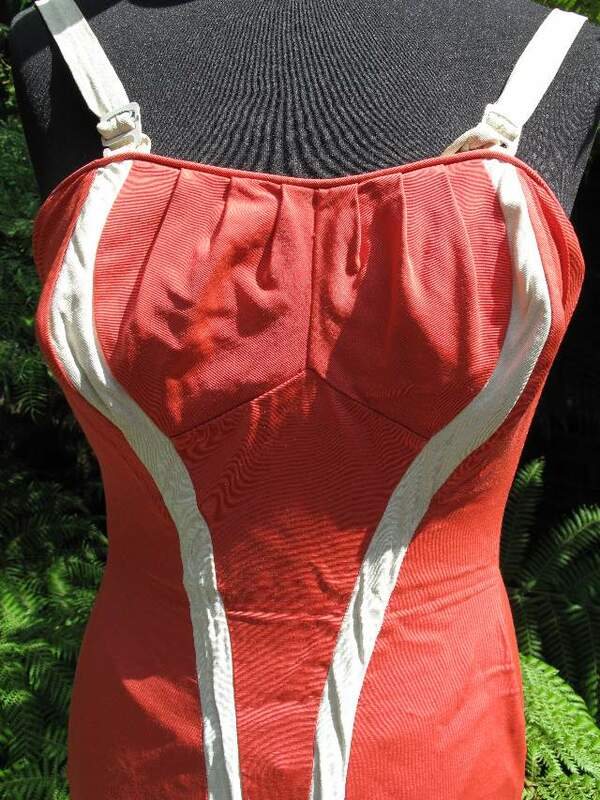 Contrast cream nylon panels and adjustable straps and back zip.